At Well Balanced Body, we’re committed to helping you do what you love for a lifetime. As a holistic wellness center, we offer a wide range of services to help our patients experience less pain, move better, sleep better, and feel better. Click below for more information on our services. Dr. Tinsley's formal training is in Chiropractic, with advanced specialties in Applied Kinesiology, or “AK” for short. AK is a form of functional neurology that Dr. Tinsley uses to specifically identify where a patient’s problem is coming from and offer individualized treatment. Applied Kinesiology can help practitioners identify and treat the root cause of conditions such as neck pain, chronic headaches, and TMJ, among others. Dr. Tinsley offers a unique approach to Chiropractic Care - patients will notice that she doesn't “crack” the vertebrae, but instead uses a non-forceful adjustment technique called “respiratory adjustment,” which is taught in the Chiropractic Applied Kinesiology speciality program. Using respiratory adjustments, Dr. Tinsley is able to diagnose malalignment of bones in the body that cause pinched nerves and move them back into alignment using your own breath to assist. This slower and gentler movement allows the brain to understand where the bone should be and in turn your body is able to acclimate to the adjustment faster. Dr. Tinsley is proud to offer light therapy at Well Balanced Body with the FDA-approved Celluma light therapy device. 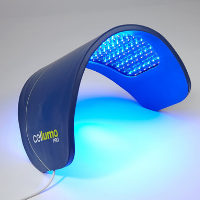 We also offer the Celluma light therapy device for purchase, so patients can enjoy the benefits in the comfort of their own homes. Red light therapy can help treat and improve a number of conditions, including: acne, pain, arthritis, wrinkles, muscle and joint pain, decrease inflammation, and improve microcirculation - not to mention patients report a pleasant relaxed feeling during treatments. The FDA-approved Celluma light therapy device can be purchased for $1695. Click here to learn more about the benefits of light therapy, or click here to book your sessions. Dr. Tinsley leads a functional flow yoga class every Friday afternoon at 4:30pm. Dr. T will take you through a guided flow, focusing on mobilization, stretching, and strengthening a different body part each week. Join a class to experience the many benefits this practice can provide, including stress relief, increased mobility, flexibility, improved strength, balance, and better sleep. 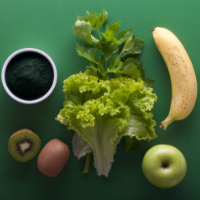 Dr. Tinsley is able to diagnose current conditions and help prevent the onset of not-yet-manifested diseases through an alternative, proactive approach called functional medicine. Instead of waiting for a disease to manifest and then treating it, practitioners like Dr. Tinsley use functional medicine to catch disease before it manifests in patients. Treatment is prescribed in the form of whole food supplements and meal plans, 100% personalized to the patients’ needs. Dr. Tinsley follows her functional medicine patients for anywhere from 2 months to 2 years, depending on the severity and type of the condition they are suffering from, and uses follow-up lab work to monitor improvement. Due to the analytical nature of Dr. Tinsley’s functional medicine work, she is able to treat patients remotely, which means that even if you don’t live in Folsom, you can still enjoy the benefits of the functional medicine we offer at Well Balanced Body. Click here to learn more about functional medicine or here to book an appointment online.